Gene Glynn assessed his team to The Spokane Spokesman-Review as the 1991 season came to a close. "There are guys on this team you can project to a higher level and the big leagues," Glynn, manager of the short-season Spokane Indians told The Spokesman-Review late that August. "They have the tools. Most of the players made a lot of strides to be where they want to be for next season." While Glynn's players might have been projected to eventually move on to the majors, the same could also have been said about Glynn. Within three years, Glynn himself was in the majors, serving as first base coach for the Colorado Rockies. He then went on to spend more than a decade as a major league coach for four different teams. Glynn's career in baseball began as a player. He was signed in 1979 as an undrafted free agent out of Mankato State in his home state of Minnesota. He started at short-season Jamestown, hitting .293 in 64 games. He moved to single-A West Palm Beach in 1980 then AA Memphis in 1981. In all, Glynn played seven seasons as a pro, all with the Expos system. He made AAA in four of those seasons, but he never made Montreal. 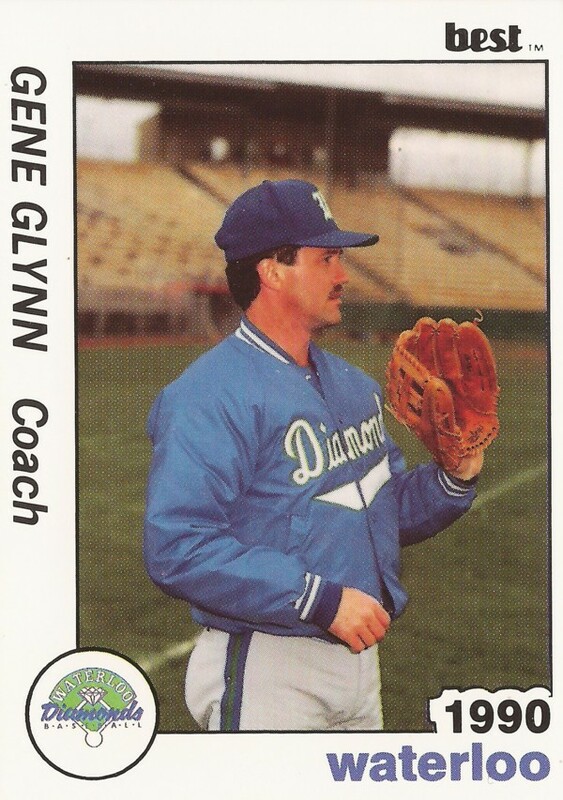 By 1986, Glynn had started his new career, as a manager and as a coach. He returned to Jamestown that year as manager, spending two seasons there. He arrived with the Padres system in 1990, then with the Rockies system in 1992. In 1994, Glynn first made the majors. He went on to spend five seasons as a base coach in Colorado. After a season as first base coach in Montreal, Glynn moved to the Cubs for three seasons and then the Giants for four. In May 2003, Glynn did in a game against the Expos what he had done for years, decided whether to send a runner home. He sent Jose Cruz, who got cut down at the plate on a throw by Vladimir Guerrero. He then tried his hand a scouting for the Rays. For 2012, he moved to the Twins as manager of AAA Rochester, a job he continued to hold in 2014. He was back trying to send his players on to the majors. "I've always wanted to work for the Twins," Glynn told The Minneapolis Star-Tribune in November 2011. "It's a good spot for me, because I can hopefully help guys make the next step." For 2016, Glynn is back in the majors, serving as third base coach for the Twins.